We’re thrilled to welcome back guest writer John Szabo, MS. This is part one of a five-part series on the most common wine certifications, and what they mean to you. Of all the labels for consumables, those for wine surely offer the most confusing tangle of nomenclature. Countries, regions, sub-regions, vineyards, grape varieties, winemaking techniques, fantasy names, cuvée names, lot numbers and other codes, and much more, can appear. Some mentions are legally required, others are applied by whim, and the order and placement of these mentions change from label to label. It’s no wonder even trained sommeliers have difficulty sorting out what’s what. But there’s more. Official-sounding certifications are also turning up on wine labels with growing frequency, along with a whole new harvest of logos and word marks from the various private and government entities who control their use, making the label landscape even more inscrutable. And certifications like organic, biodynamic, sustainable, natural, and vegan all have different meanings and degrees of legitimacy. Some are government-regulated, others are bestowed by private companies or industry associations. Others still have no universally agreed upon meaning. So, what’s what? Read through this special 5-part series to learn the differences between the most common certifications, and what they might mean to you. Let’s start with the term that’s most likely familiar to you: organic. Use of the term “organic” for wine, as for food, is legally defined in most countries, even if the definition varies from country to country. There is no international governing body that regulates a unified standard for what it means to be “organic,” so practices vary, but typically, organic wines must be made from grapes grown without the use of synthetic fertilizers, pesticides, fungicides or herbicides. There are further restrictions on allowable processing agents in the winery, most notably limits on the use of sulphur dioxide as a preservative agent, as well as permissible fining/clarifying agents. Wines produced in Canada with an organic claim and wishing to be sold across the country must comply with the federal Canadian Organic Regime, which is regulated by the Canadian Food Inspection Agency (CFIA). The CFIA creates, oversees, monitors and enforces the requirements of the Canada Organic Regime using an accredited third-party auditor. British Columbia was one of the first provinces in Canada to establish an organic standard in 1993. As such, it was one of the front runners in developing certification systems. Today all products labeled as organic in BC must be certified to either provincial standards, a process administered by the Certified Organic Associations of British Columbia (COABC), or federal standards, if the wine is to be sold outside of British Columbia. Foreign wines wishing to be sold in Canada with an organic claim must also comply with Canadian Organic Regulations, regardless of the country of origin. Compliance is verified by the provincial monopolies responsible for alcohol sales in each province. Wineries must provide a certificate from an organic agency recognized by the CFIA, which also establishes organic equivalency arrangements with other countries. 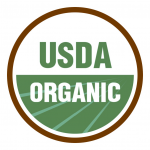 The CFIA currently recognizes organic claims certified by the United States Department of Agriculture (USDA), the European Union, Switzerland and Japan. 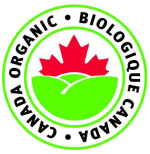 Wines from other countries claiming an organic certification that is not recognized by the CFIA are required to bear a sticker stating that “Organic claim not recognized in Canada”. These claims are taken seriously. Aside from the bonus of having no pesticide residue (though fear not, conventional wines won’t harm you), likely of greatest interest to you is the reduced sulfite levels in organic wine. Sulfites are the most effective anti-oxidant and anti-bacterial wine preservative, and have been used for centuries. Organic wine does not mean totally sulfite-free (even if no sulfites are added, they are produced naturally during fermentation), though the legal maximum of how much can be added is less than for conventional wines (which also have limits). The limits are determined by the amount of residual sugar (RS) in a particular wine – the more sugar, the higher the permitted sulfite level, mostly to prevent refermentation. For the record, according to the Canadian Organic Regime, wines with less than 50 grams/litre RS (dry to semi-sweet) may contain up to 30 mg/L (ppm) free sulphur dioxide, up to 35 mg/L for wines between 50 and 99 g/L RS, and up to 45 mg/L for really sweet wines with more than 99 g/L RS. By contrast, the allowable SO2 limits for conventional wines in Europe, for example, is 150mg/L for red wines, 210mg/L for white and rose wines, and 400mg/L for sweet wines. In the US, the legal limits top out at 350mg/L and in Australia at 250mg/L. Detractors of organic certifications point to the overly long list of permitted agro-and-oenological products permitted, and the generous maximums set for the use of certain products. Imagine, if you will, the discussions to create a pan-European Union organic certification, acceptable to all member states. An exercise in compromise and flexibility. At Phantom Creek, we farm our estate vineyards without the use of synthetic herbicides, pesticides, fungicides, or fertilizers. Instead, we rely on traditional techniques such as the use of organic compost and hand hoeing for weed control. We’re currently working towards certification for all of our vineyards, with a target date for organic certification of 2020. 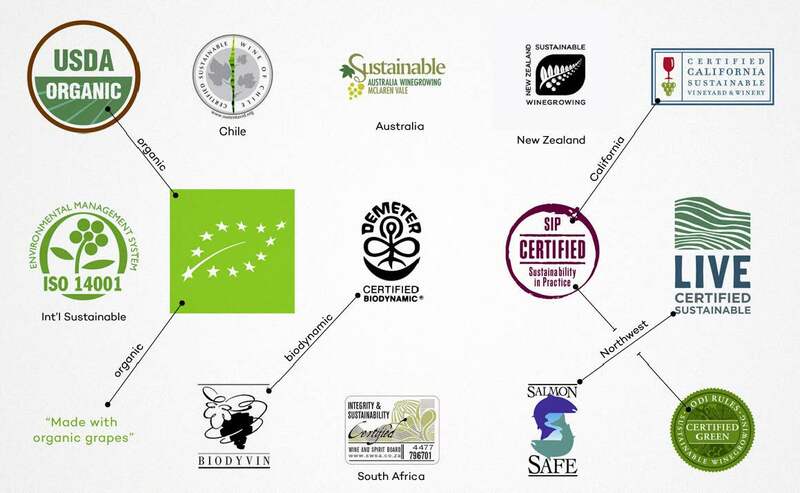 We believe certification is important in an era of greenwashing and exaggerated organic claims. Master Sommelier John Szabo is the Author of Volcanic Wines: Salt, Grit and Power, published in October 2016. When not drinking the essence of lava, he writes for WineAlign.com, or can be spotted somewhere around the world researching his next book project.